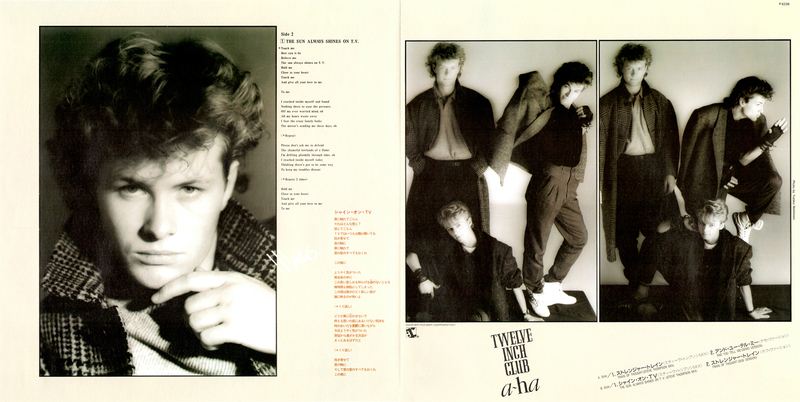 The cover of this Japanese only mini album is similar to that of "Train Of Thought" single (front and back). 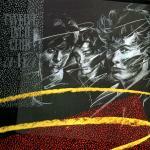 It is available on CD, 12" EP and cassette. The 12" EP comes with a white obi with pink and purple Japanese text. 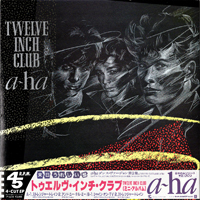 The disc labels feature coloured &quor;Reprise Records&qupt; design. Side 1 is grey with a large white Reprise Records "r" and black "Reprise Records" train and logo at the bottom. The other text is grey. Side 2 is of similar design, but the grey background is replaced by red. It also has a double sided fold-out pale yellow insert with large individual black and white shots of the band members plus the lyrics in black (English) and orange (Japanese). Again there were two pressings of the CD issue. 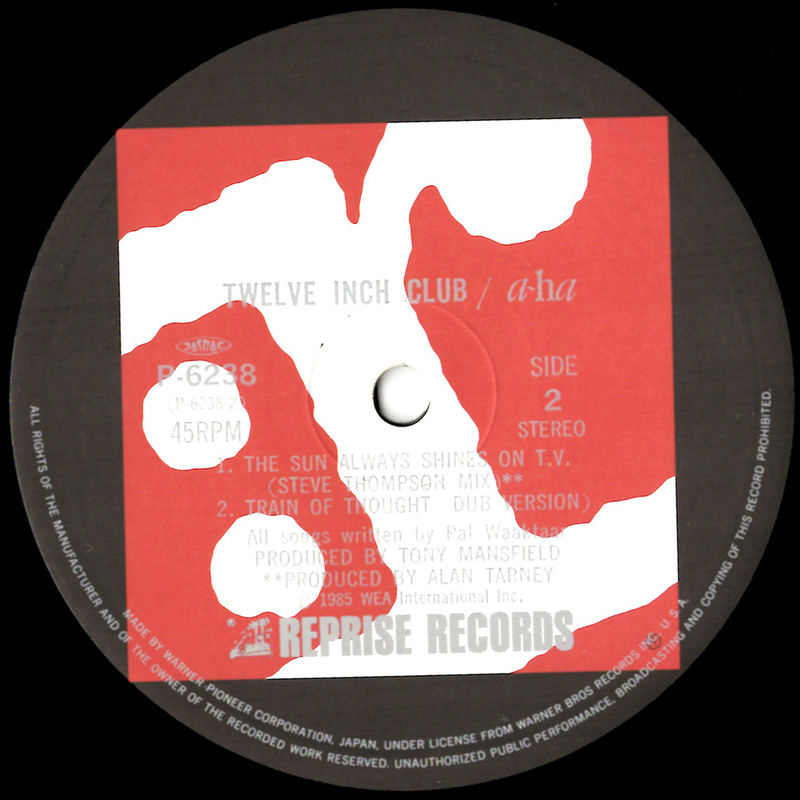 The first pressing has a barcode printed in the top left corner of the reverse sleeve and a different catalogue number from the 2nd pressing. 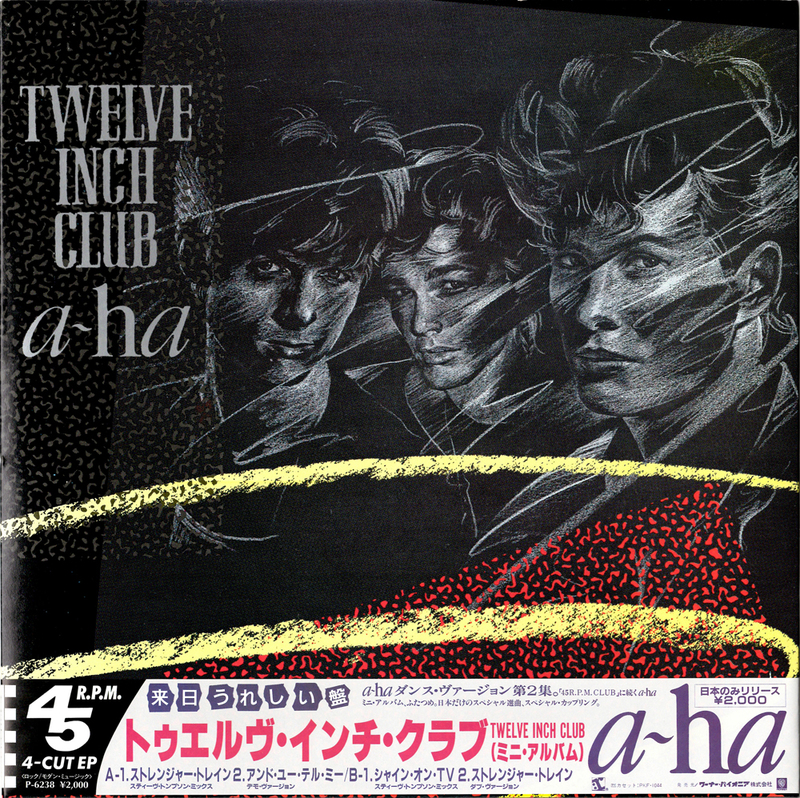 The first pressing also comes with a white stickered obi strip with red a-ha-logo and text whilst the reissue comes with a blue and white "Forever Young Series" paper obi. Some (if not all?) 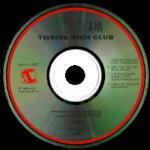 of the first pressing have the title spelt incorrectly on the disc as "Twelve Ihch Club". The CD booklet has 4 grey coloured pages with lyrics, a black and white group picture plus 3 individual pictures. The back of the booklet is similar to the back of the CD, but without the track listing. 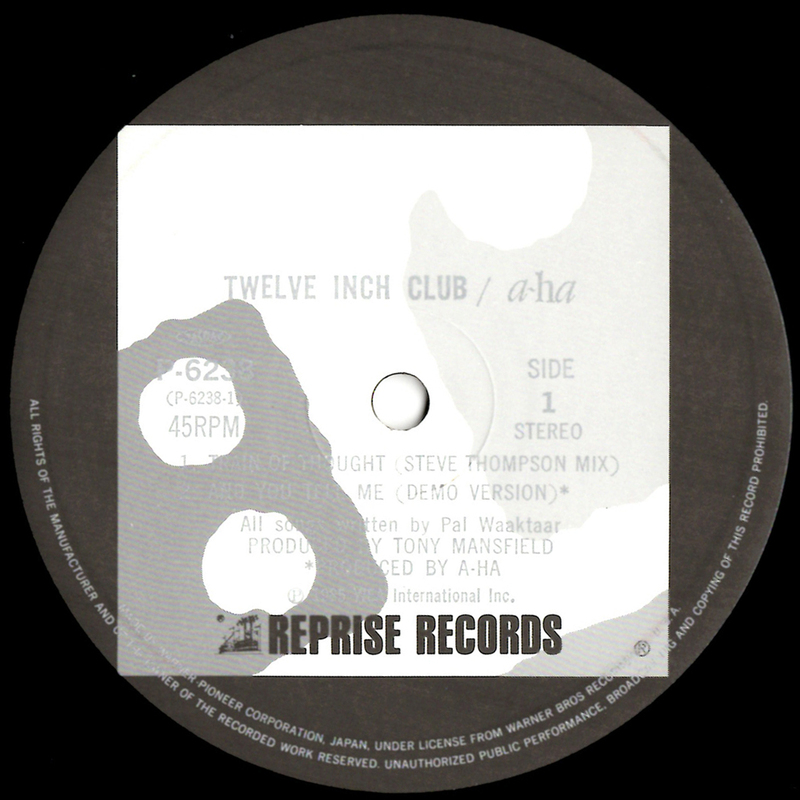 The label is "Reprise Records". The CD is gold like the 45 R.P.M, but with a red "Reprise Records" logo. The cassette edition comes with a long wrap-around sleeve. 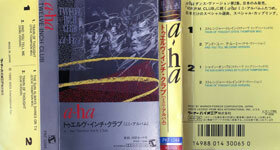 The front (and the left spine) is silver with a small shot of the album cover at the top. Titles are printed in red and black below. The rest of the sleeve is yellow with titles in black and blue. There is a small shot of the cover artwork on the right hand spine. The cassette is white with black stickered labels with white text. 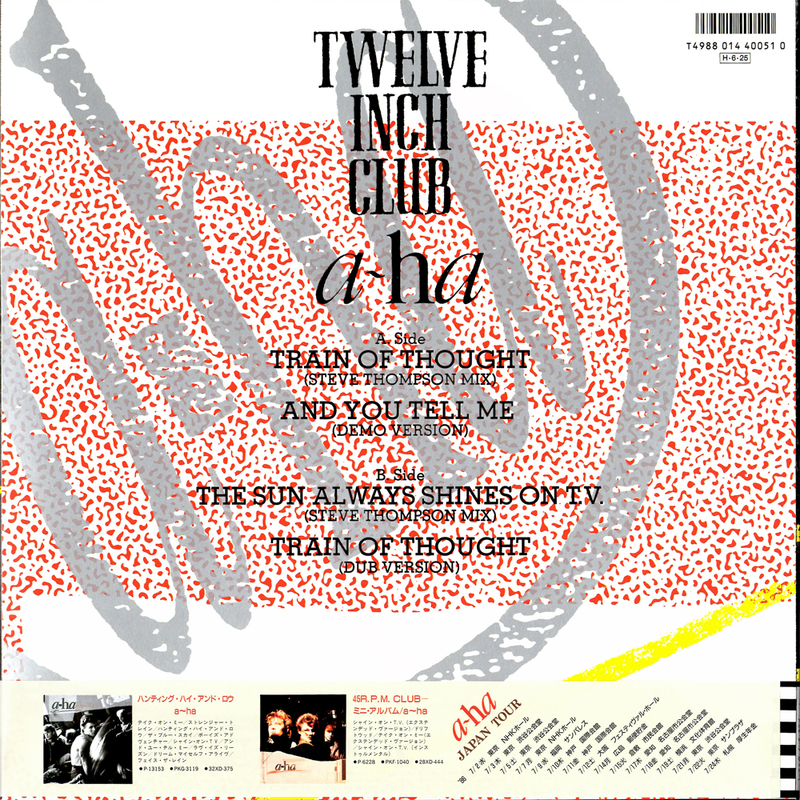 The tracks on this mini album include the extended "Steve Thompson Mix" of "Train Of Thought" (7:02) and the original "Demo" version of "And You Tell Me" (1:56), the extended "Steve Thompson Mix" of "The Sun Always Shines On T.V." (8:25) (the same version as that on "45 R.P.M. Club") and the "Dub Version" of "Train Of Thought" (8:35).